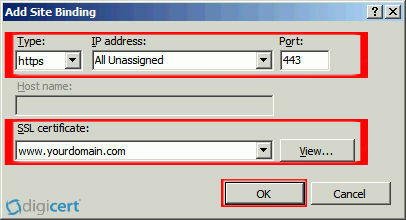 Open IIS7 and under ‘Connections,’ select your server’s Hostname and in the center menu, in the IIS section, double-click the ‘Server Certificates’ icon. 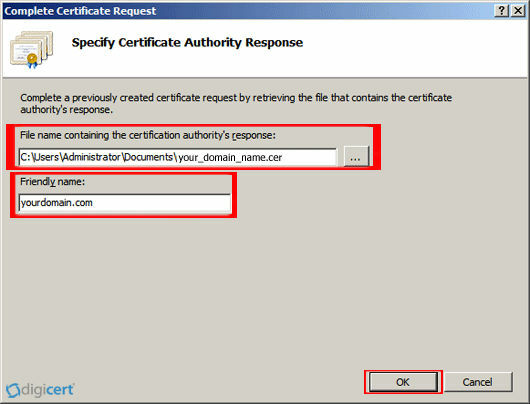 In the ‘Actions’ menu, click ‘Complete Certificate Request’ to open the Complete Request Certificate wizard. 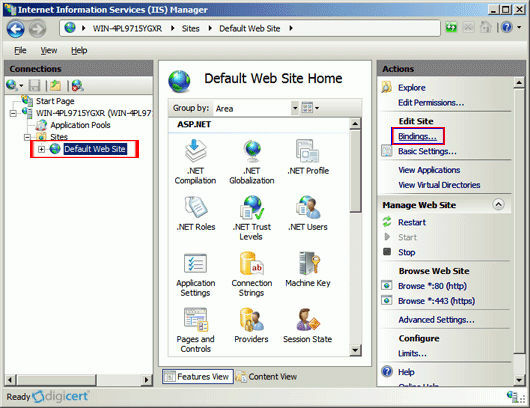 There is a known issue in IIS 7 where the following error message is displayed: “Cannot find the certificate request associated with this certificate file. A certificate request must be completed on the computer where it was created.” You may also receive a message stating: “ASN1 bad tag value met”. If this is the server where you generated the CSR, in most cases, the certificate is actually installed. 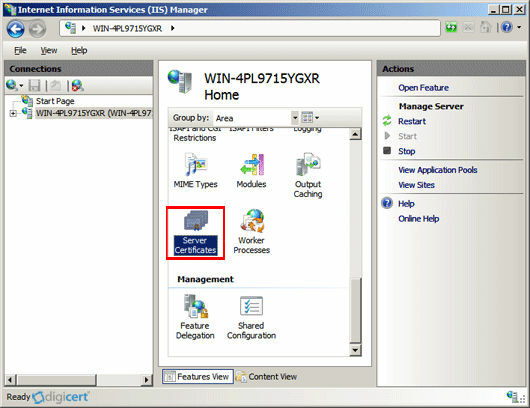 Simply close Internet Information Services (IIS) Manager and reopen it to refresh the list of server certificates. The new certificate should now be in the list, and you can continue with the next step. 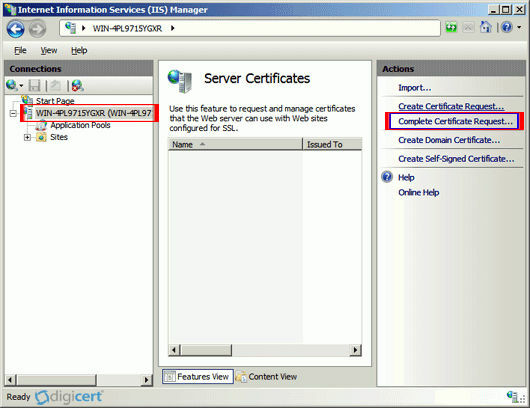 See SSL Certificates CSR Creation :: IIS 7. After creating a new CSR, login to your Management Console (your account). Next to your certificate, click Re-Key Your Certificate. Your SSL certificate is now installed, and your website is configured to accept secure connections.